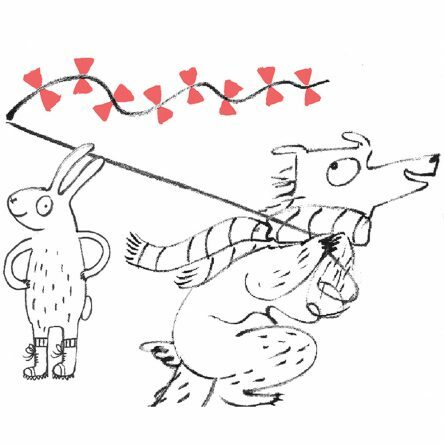 We’re delighted to welcome the brilliant Yasmeen Ismail, author and illustrator of Inside, Outside, Upside-down, Push, Pull, Empty, Full, and Happy, Glad, Feeling Sad to the blog today. 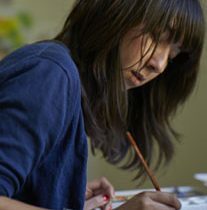 My name is Yasmeen Ismail, and I am an author and illustrator. I have three brilliantly fun activity books with Laurence King Publishing (and I can say they are fun because I had so much fun making them), called Inside, Outside, Upside-down, Push, Pull, Empty, Full, and Happy, Glad, Feeling Sad. Because these books were fun, they were easy to make. 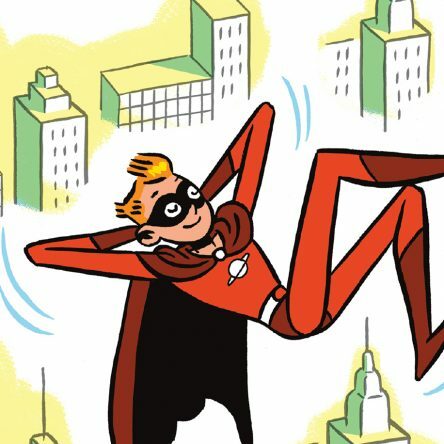 Everything is easier if you’re having fun! 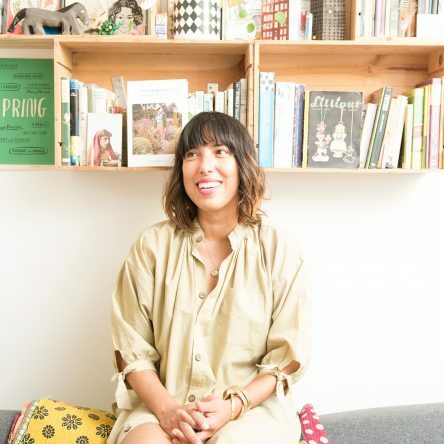 I think it’s also really important to be somewhere that you like, and I am going to show you where I work. 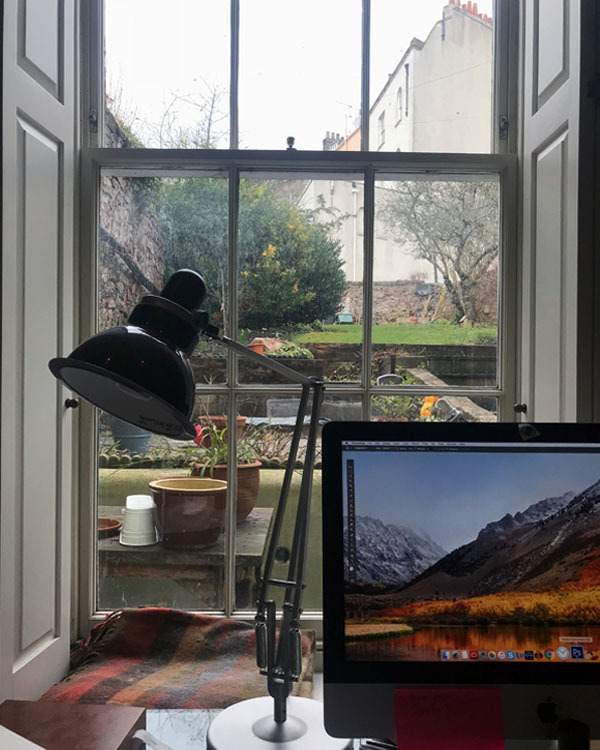 I think I must spend most of my time in my office, which is on the ground floor of my home in Bristol. 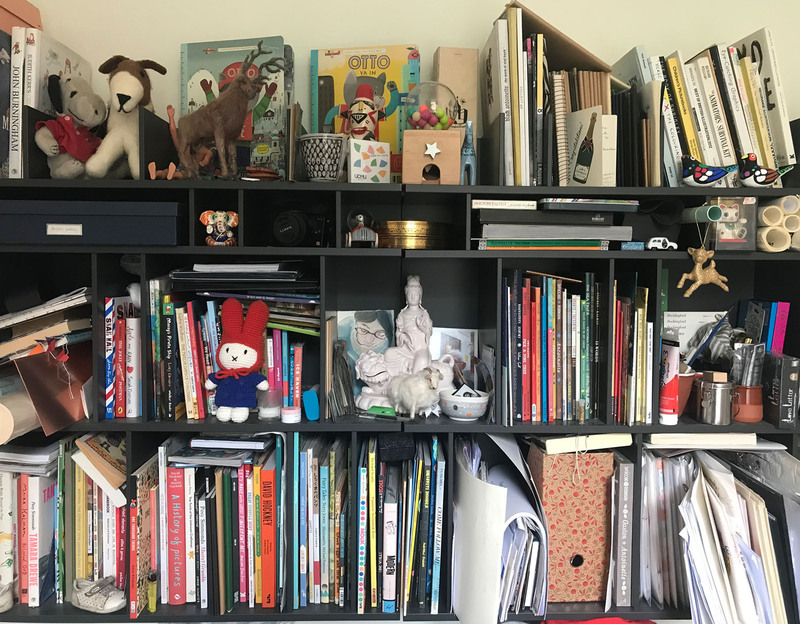 I do so many things in this room, I do my accounts, the grocery shopping, emailing, organising, stressing, laughing, crying, chatting, playing and of course, most importantly, I write and draw books. I have great big shelves on the wall to the left as you walk in. It’s filled with books I like, and books I’ve read, and books I want to read. 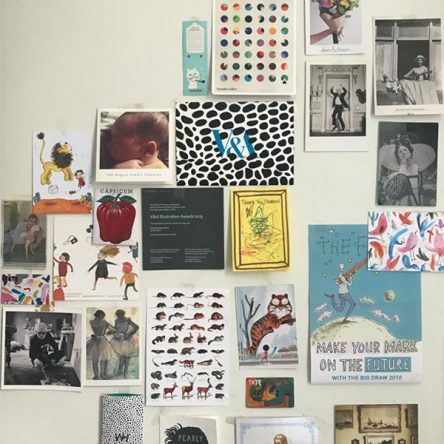 It has photos of my favourite people and toys that I like the look of and want to keep around. The little Snoopy was given to me when I was a baby by my Great Aunt Betty. On the wall perpendicular to the shelves is a great big chest of drawers. These drawers are filled to the brim with paint and pencils and paper, envelopes, glue sticks and sticky tape and stickers. 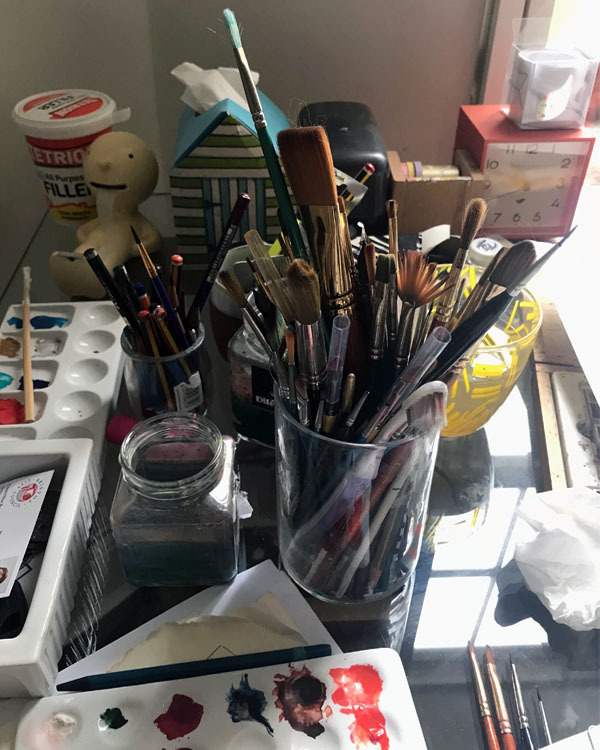 There’s almost no room for anything else and I always think that I need to have a tidy up and make some more room, because I am always acquiring new things to draw and paint with. On top of this chest is even more paint and more paper and more pens and more books. 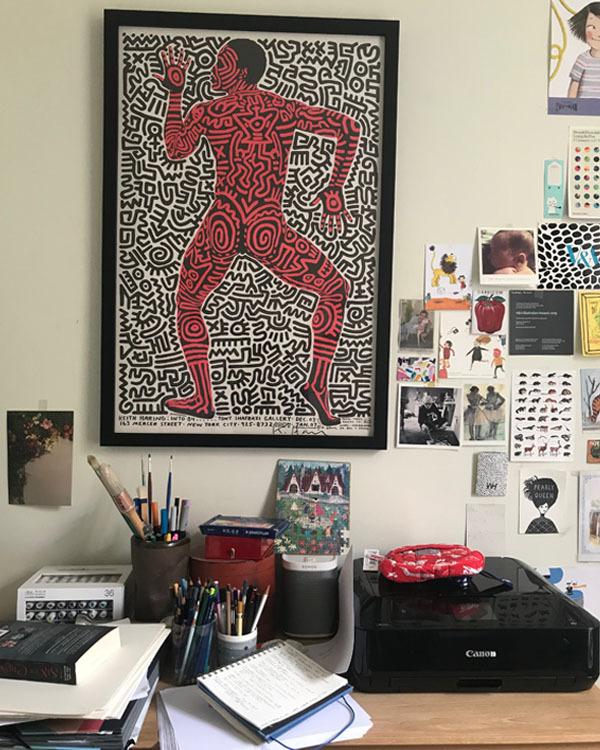 And on the wall above is my Keith Haring print of a dancing man. I love it’s energy and colour. It makes be very happy. Oh, but that’s not all there is on my wall. You can see that I have a lot of pictures up there. 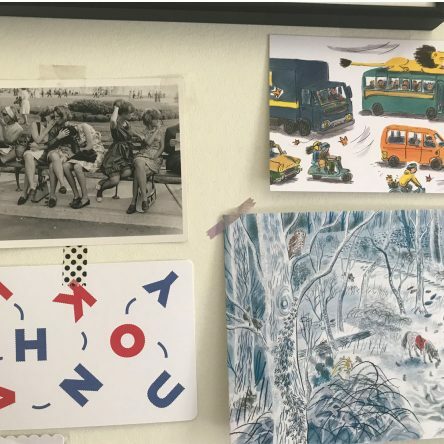 Some of these were sent to me by children who have sent me their drawings and some are just postcards that I liked the look of. I only put up pictures that make me happy. 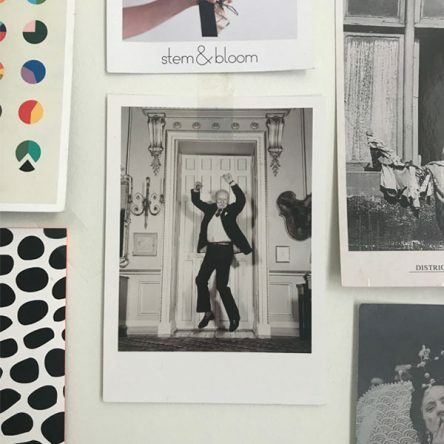 I have photographs of David Hockney, Matisse and my son. Photos taken by great artists like Garry Winogrand, and illustrations by some people I know and some I have yet to meet. Like the wonderful Helen Stephens. My desk is (like the rest of my office) a mess. There’s more paint and more pencils, books and papers. Every now and then, when there is an important visitor I tidy up, but it can take a very long time to get it looking neat. To the right of all the pots and paints is my computer. This is what I sit in front of most of the time. And in front of the desk is a big window. This is what I look at most of the time. On the windowsill is a grubby looking blanket. This is where Betty the cat sleeps while I work. Then there are MORE SHELVES! 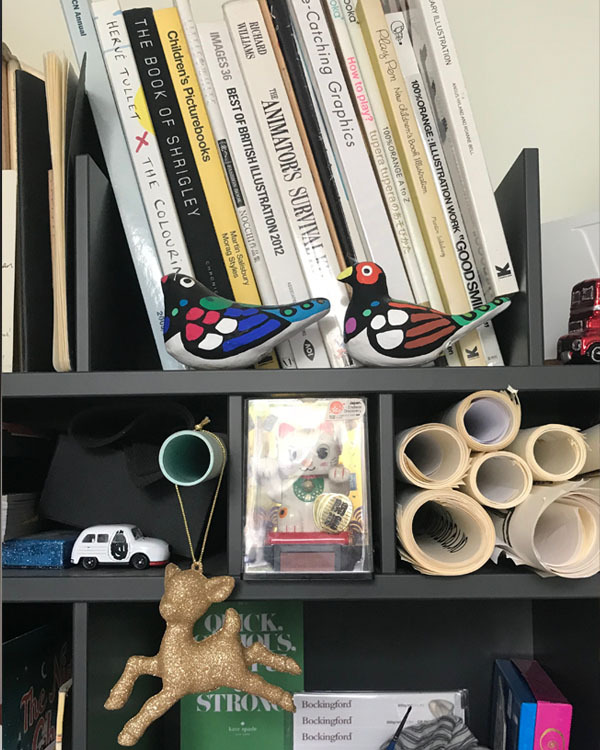 They reach right up to the top of the room and these hold all my books in all the different languages that they have been published in. And that is the end of my tour. It’s a nice little room. Maybe if you come visit me I will clean up a bit. 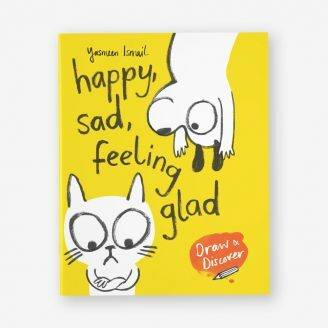 You can download some brilliant free activities from Yasmeen’s Inside, Outside, Upside-down, Push, Pull, Empty, Full, and Happy, Glad, Feeling Sad books here.